Air Freight is a highly complex category with fee models that differ by airline, by region and by service level. This makes evaluating an air freight program on a global scale an extremely difficult venture from an administration standpoint, but also from an analysis standpoint. A lot of times air freight customers will refer to brokers and to 3PL providers to manage and administer their air freight program; however, if self-managing your air-freight program it is possible to effectively manage and evaluate the competitive market via RFP. As previously mentioned airlines have varying pricing structures based on service levels, regions, and overall based on internal pricing strategies. This makes it of the upmost importance to evaluate carriers per each region and services level based on the total cost of shipment. 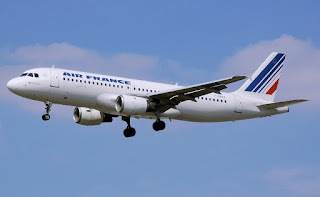 For example it will be inaccurate to compare one airlines 0-50KG price per Kilogram to another’s since one airline could impose heavy surcharges and have more competitive weight break pricing, or they could not have surcharges altogether and blend all fees/surcharges into their per KG pricing per each weight break. Therefore when performing your quantitative analysis and comparing airline to airline a full calculation will need to be made and then the total costs compared against each other. This will yield the ever-allusive “apples-to-apples” pricing comparison.